An exciting adventure that moves through the length and breadth of the most charming country in South East Asia. Cruise along the Mekong River in traditional slowboats, passing jagged limestone peaks as we travel to the ancient capital Luang Prabang. We visit the capital Vientiane, meet friendly hilltribe villagers and discover the mysterious Plain of Jars. Ending in the deep south we explore the inland Mekong Delta and raging waterfalls. Breakfast at hotel. 08:00 meet our local guide and heading to the North-East of Laos to the town Luang Namtha. This road has recently been improved and is now a very smooth and comfortable drive. We visit the hill tribe villages along the road at Muang Phouka and other surrounding areas. Luang Namtha, which is located on the banks of the Namtha river, is a land of the rugged mountains and beautiful tropical forests and shares its border with China and Myanmar. Then continue your way to Muang Sing, the first capital of Lu’s principality, which is also home to various hill tribe communities. There is a significant Chinese population and a lot of trade goes on between here and China. Stop along the way at the Akha hill tribe village. This ethnic group originally lived in China but immigrated into Laos over a century ago. They are very poor, but have a vibrant culture and an interesting history. Lunch and dinner in local restaurants. Breakfast at hotel. 08:00 walk around this town to observe the daily activities of ethnic minorities in their villages and see the small vendors selling local textiles and crafts in the streets. You will leave the village and take a short drive north before taking a half day trek by using the local tracks. You cross some breathtaking mountainous landscape in hill tribe villages Yao, Akha and Lanten, where you are sure to attract the attention of many ethnic minorities, as visitors do not frequently encounter this remoted part of the country. Lunch and dinner in local restaurants. Overnight at local hotel in Muang Sing. Breakfast at hotel. 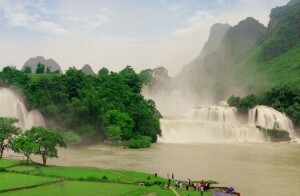 08:00 continue your adventure trip in this mountainous region in the Northern Laos. The landscape of verdant and rugged mountain scenery combined with the colorful local population makes this an unforgetable experience. Oudomxay province is home for a mixture of 23 ethnic minority groups. Make a few stops along the way, giving you the opportunity to see the Hmong, Khmu, Akha and Taidam ethnic minority groups. The friendly people of the mountains are always ready to offer the hands in welcome with the smiling faces. Lunch and dinner in local restaurants. Overnight at local hotel in Oudomxay. Breakfast at the hotel. 08:00 visit the local market of the city. Then continue by road up noth and making several stops in the villages of ethnic minorities Ikor, Yao, Hmong and Khmu to see their different lifestyles. Visit Wat Phra Xack Kham temple which houses a sacred Buddha image. You will pass the town of Muang La, the village of Pak Namnoy, Bountai Ban Yo. Arrive in the town of Phongsaly in the after noon and check in a local hotel. Lunch and dinner in local restaurants. Overnight at hotel in Phongsaly. Breakfast at hotel. 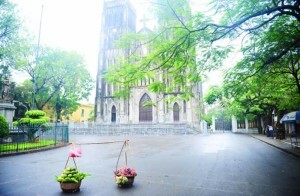 08:00 walk to visit the other outskirts of the capital, including the local market, explore the beautiful nature around Phongsaly and enjoy the beautiful area of tea on the mountains. 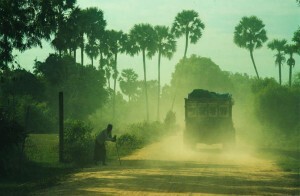 During this day trip you can visit the communities of Phounoi or Laoseng, Akkha, villages. Lunch and dinner in local restaurants. Breakfast at hotel. 08:00 return by road to the village of Pak Namnoy through mountainous region, then turn left on the direction of Muang Khoua district, which is located on the bank of the Nam Ou river. Today Muang Khoua plays an important role of stopover for passengers travelling between the north eastern part of Laos and Dien Bien Phu and Spa in Vietnam. Lunch and dinner in local restaurants. Overnight at hotel in Muangkhua. Breakfast at hotel. 08:00 board a private local boat for an unforgettable cruise on the Nam Ou river to Nong Khiaw. This particular section provides amazing limestone karts scenery and remote villages, includingBan Sob Jaem, Khmu and Hmong village, which can only be reached by boat. 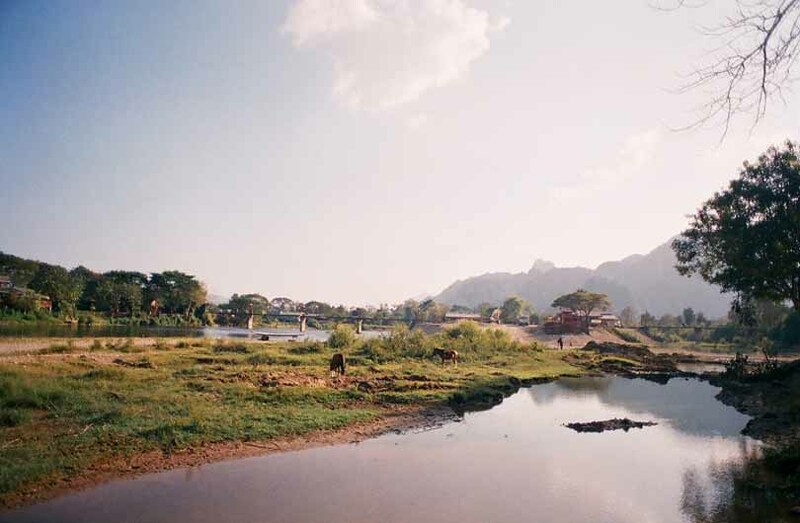 Stop to explore a fewsites before reaching your accommodation in Nong Khiaw in the afternoon. Upon your arrival at hotel, you will have the opportunity to make a bike ride through the picturesque local limestone caves nearby. Lunch and dinner at a local restaurant. Overnight at local hotel in Nong Khiaw. Breakfast at hotel. 08:00 transfer by car to Luang Prabang. Lunch on the way. Arrive in Luang Prabang in the afternoon. For those who love shopping, the night bazaar offers a beautiful collection and textiles and hand-made by people of different tribes and ethnic minorities in the country hills surrounding Luang Prabang. Lunch and dinner at a local restaurant. Breakfast at hotel. 08:00 visit to the National museum at the former Royal Palace, which displays a lovely collection of the artifacts reflecting the richness of Lao culture dating from the days of the early kings right through the last sovereign. Then explore some of the main sights of this fabulous city, including the impressive stupa of Wat Visoun, Wat Aham, the oldest temple of the city: Wat Sene and Wat Mai and the most magnificent temple of Wat Xiengthong. Then climb up 329 steps to the top of mount Phousi for an enjoyable exploration of the sacred, gilded stupa and enjoy a beautiful view of the city and its glowing reflection on the Mekong river. Lunch and dinner at a local restaurant. Breakfast at hotel. 08:00 visit the morning Phousi market, where you will see such diverse offerings as dried buffalo skin, local tea and saltpeter among the chickens, vegetables and hill-tribe weavings. Laos is also known for its traditional crafts, and today you will visit the local villages of Lao ethnic minority groups at Ban Ouay, a Hmong village, Ban Ou, a Laoloum village and Ban Thapene, a Khmu village. This then takes us to the beautiful Khuang Si waterfall where you can cool off with a refreshing swim in the pools or walk along the forest trails. Drive back to Luang Prabang by early evening in time for a sunset view over the Mekong. Lunch and dinner at a local restaurant. Breakfast at hotel. 08:00 after break fast ,at the hotel together with your local guide you will proceed to the Elephant project and the “Elephant village” about 15 km out of town and in the middle of a green, natural surrounding, settled on the banks of the Nam Khan river. Here you will be introduced to the protected Asian elephants and go out for a scenic ride in the beautiful settings along the river. Enjoy the new perspective and the wonderful nature on this 1 hour elephant ride through which you support the rescue of our former logging elephants. A stunning landscape, tranquility and lush nature gives you a relaxed stay on the back of the elephant. Lean back in your seat and enjoy…Transfer back to the hotel. Free on your own. Lunch and dinner at a local restaurant. Breakfast at hotel. 08:00 drive to Xieng Khuang, famous for the ‘Plain of Jars’. The road follows a twisty mountain route, stop at Houi Hei, which offers great views of the surrounding mountains. Then continue to Ban Kiu Marknao 2, a Khmu village to explore, before arriving in Phou Khoun for lunch. Continue on the road to Xiengkhuang province, reaching the highest altitude of the day 1500m above sea level, just after Phou Khoun. You have time to make a stop at Ban Son Boom, a Hmong village. Your final stops of the day are a reminder that this region played a major part during the Vietnam war – as you visit a hidden Buddha Cave, that served as an army hospital during the war. Arrive at your hotel by early evening. Lunch and dinner at a local restaurant. Overnight at hotel in Xieng Khoang. Breakfast at hotel. 09:00 Transfer for a visit to the Plain of Jars, an impressive archaeological site where hundreds of large stone jars are littered all over the plateau. Afternoon free. Lunch and dinner at a local restaurant. Breakfast at hotel. Depart for Vang Vieng, and en-route you have time to stop to admire the scenery from several scenic viewpoints. Vang Vieng is a small village situated between spectacular limestone cliffs and surrounded by green rice fields dotted with traditional houses. The balcony of your hotel affords a splendid view of the beautiful countryside and the magnificent natural formation, as well as magnificent sunsets. Lunch and dinner at a local restaurant. Breakfast at hotel. 08:00 Set out on the road towards Vientiane. On the way, stop at Tha Heua, a small village that specializes in dried fish, which you will see hanging in front of the houses. Lunch at a local restaurant.In the afternoon, start visiting some the major sights including the oldest temple Wat Sisaket, an amazing structure featuring remarkable frescoes and Buddha images. You also visit the former royal temple of Wat Prakeo, which previously housed the famous Emerald Buddha Image. Enroute to Lao’s national precious heritage, the famous and sacred structure of That Luang Stupa, you will have the opportunity to take some pictures of the imposing Patuxay monument, which is well known as Vientiane’s own Arc de Triumph. Observing the spectacular view of over the Mekong river at sunset from one of the riverside bars is a perfect way to finish the day. Dinner at a local restaurant. Breakfast at hotel. You will be transferred to the airport early this morning for the flight to Pakse. Upon arrival you will be met and transferred by road east into the Boloven Plateau. The Bolaven Plateau is known for its cooler temperature being located high above the Mekong valley. Our first stop is to visit Houey Ten, a Katu village specializing in knifemaking. Then stop at tea plantation, followed by a stop at Tad Fan waterfall, a picturesque twin chute waterfall. Then make a stop at a coffee plantation, en route to Tha Teng market, a colourful ethnic minority food market. Next, you explore another interesting minority village, Ban Bong Neua, an Alak village, that boasts a sacrificial alter. You arrive at the beautiful Tadlo waterfall in the afternoon, where you’ll have the rest of the day at leisure. Lunch and dinner at a local restaurant. Overnight at local hotel in Tadlo. Breakfast at hotel. 08:00 Head out of the plateau, stopping first at the attractive Paxuam waterfall. Then transfer to Champassak and onto Wat Phou, another World Heritage site in Laos, which became recognized by UNESCO in 2002. Wat Phou is the site of ruins which were once part of a temple built some time before Angkor Wat in Siem Reap. It contains some of the most Ancient Khmer architectures which date back to between the 7-11th centuries. In the late afternoon you will drive to Don Khong, an area of the 4000 islands which is the widest point of the Mekong river during the rainy season, although during the dry months the river recedes, leaving behind thousands of islands and islets. Arrive at Khong island via ferry early evening. Lunch and dinner at a local restaurant. Overnight at local hotel in Khong island. Breakfast at hotel. 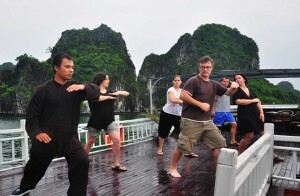 08:00 Visit the surrounding countryside and board a long tail boat as you explore sites on your way to Liphi waterfall or “the Corridor of the Devil”. You will see the local fishermen at work before returning to the mainland at Ban Nakasang on your way to visit Khone Phapheng, the biggest waterfall in Southeast Asia and transfer to Pakse. Lunch and dinner at a local restaurant. Overnight at hotel in Pakse. Breakfast at hotel. Free on your own until transfer to Pakse airport for your departing flight to the next destination.